Home Culture Give Waste In Exchange Of Getting Wasted! Give Waste In Exchange Of Getting Wasted! We can surely work harder to get free beer, can’t we? No matter which part of the world you live in, if you have accessed the internet for a decent amount of time, you have surely come across videos of marine animals choking on and dying or being seriously injured due to the waste left behind by this good for nothing species called homo sapiens (read: humans). It is true that we humans have been on earth for a considerably long time, but the amount of irreversible damage we have done to its ecosystem is unbelievable. A lot of it is due to large scale catastrophes like over-industrialisation but a large part of it is also due to callous inconsiderate habits of littering. Literally any and every tourist spot in the world, and hence in India, is over-polluted because we assume that one substitute use of roads and landscapes is, to be used as trash bins. Now imagine what might be the scenario at Goa, that one holiday spot that does not need holiday season to be crowded and then multiply it by four and that is the real state of the scenic tourist place. But somehow Goa has figured out the most Goan way to tackle this issue- they are now fighting litter with beer! 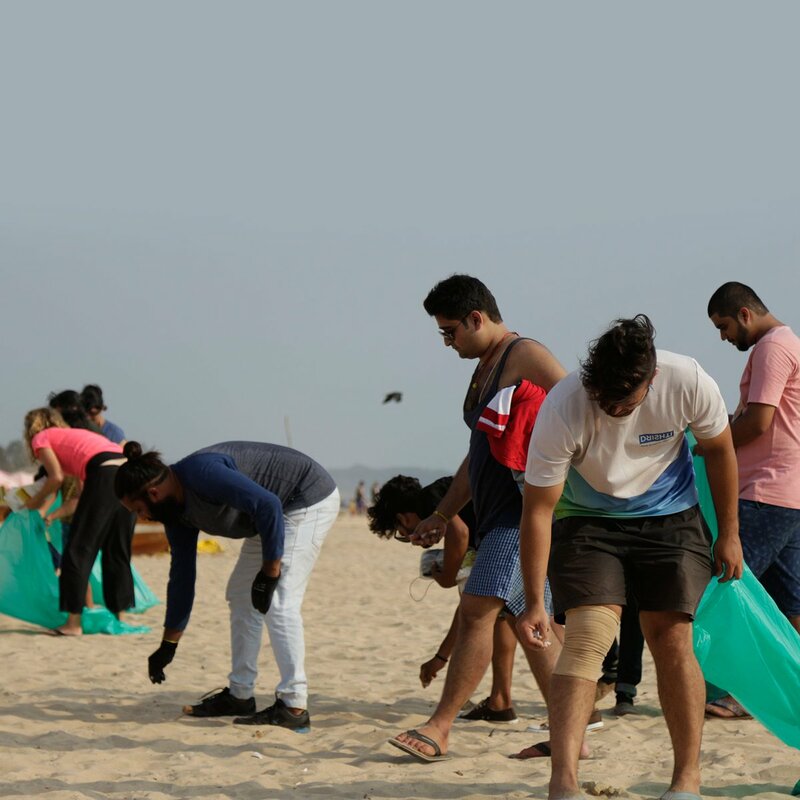 Thanks to an initiative by Dhristi Marine and the support of the state government, several waste-bars have popped up on the beaches of Goa where people are being offered free beer in exchange for the garbage they collect from the beaches. And so far, this initiative has been a huge success. 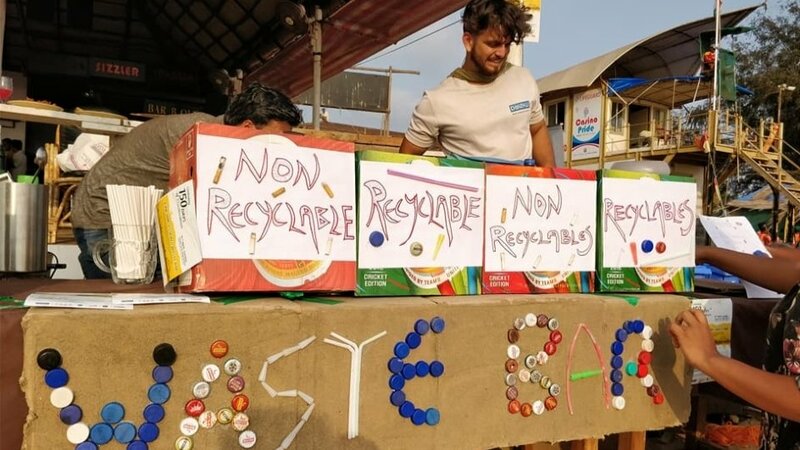 The first waste bar was opened on January 30th this year at Zanzibar Shack in North Goa’s Baga beach and since it benefits both the crowd and the business, the whole idea has started to gain mainstream momentum. 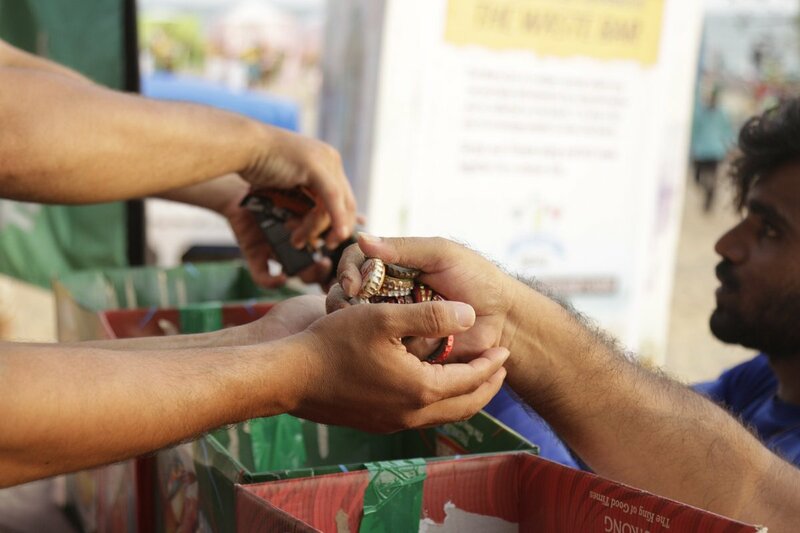 The initiative set many people out there to work to save the beach and earn a beer! If we are being really honest with ourselves, there are a lot of questionable things we have done at least once in our life for free booze. Helping out the environment is not only an upgrade but also an effective way to remember that waste bins were invented for a reason and we need to make good use of them, especially when travelling. It is high time to realise that plastic straws belong inside a coconut and then in the trash not inside the nostrils of an unsuspecting sea turtle that was just minding its business swimming in the ocean. All the people out there, who are still going to litter tourist spots or natural landscapes, know that you are the reason why Nemo is dead today. If that does not make you change your habit, then…maybe free beer will? And if nothing else helps, just remember that we have only twelve years to save this planet before everything is Go Goa Gone. Beer sounds like a better option, doesn’t it? Previous articleWhat New Venture Has Rapper Divine Decided To Start? Love Jihad Or Love Birds?